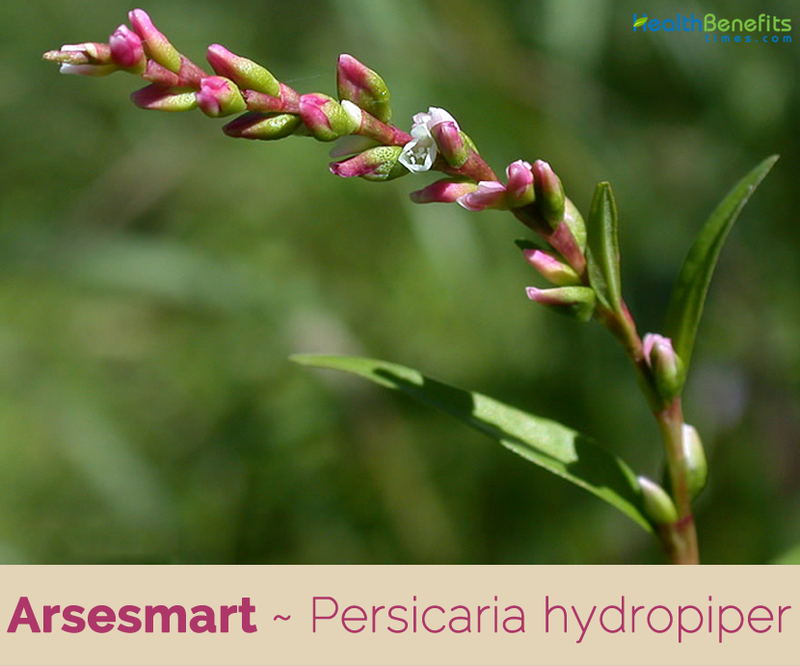 Arsesmart scientifically known as Persicaria hydropiper is an annual plant and a member of the knotweed or buckwheat Family(Polygonaceae).The plant grows in damp places and shallow water and is native to most of mainland Europe, North Africa, temperate parts of Asia, Australia,New Zealand and North America. 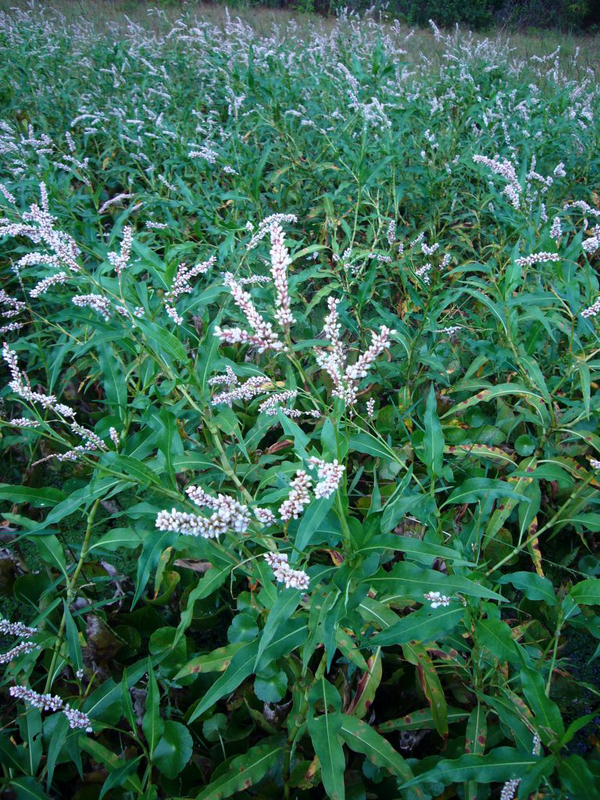 Few of the popular common names of the plant are water pepper, Biting persicaria, Lakeweed, Curage, Red leaf, Marsh pepper smartweed, Marshpepper knotweed, annuals martweed, mild water pepper, akatade, water willow, redshank, Common smartweed, marshpepper smartweed, annual smartweed, marsh waterpepper, watersmartweed, biting knotweed, marsh pepper, knotweed, biting pepper, sickleweed and bog ginger. 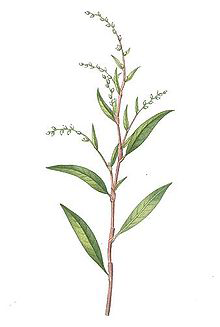 Persicaria, the generic name, relates the shape of leaves of this group of plants to those of a peach tree. The specific epithethy dropiper translates to water pepper. 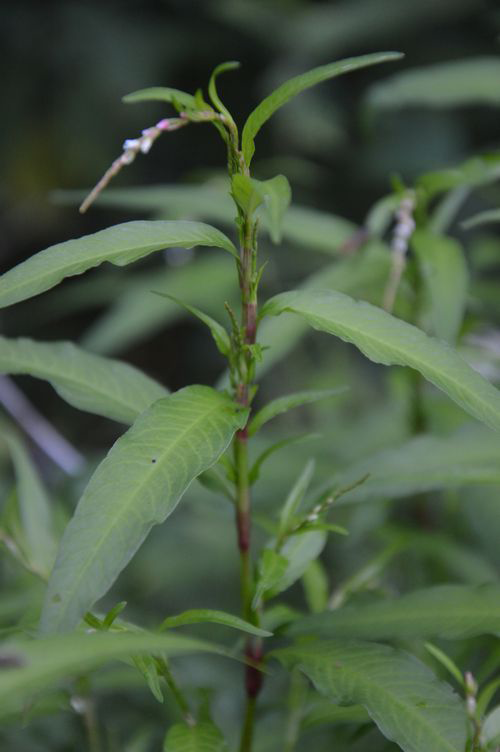 This flower gets its common name Water-pepper (sometimes written as Water Pepper) from its preference for wet habitats and the peppery taste of the leaves. It has some use as a spice because of its pungent flavor. The joints in the stem have produced the nickname red knees. Though several species possess similar properties, P. hydropiper is by far the most powerful in medicine. Most animals avoid the plant because of its burning flavor. Arsesmart is an annual, glabrous plant that grows up to 20 to 70 cm (8 to 28 in) tall. The plant is found growing in soggy openings in woodlands, logged-over woodlands in floodplains, soggy alluvial meadows, seeps,edges of rivers and ponds, roadside ditches, poorly drained agricultural land,along creek, river, canal, stream banks, in marshes and swamps, in poorly drained hollows, and in seasonally flooded areas. Disturbed wetlands are preferred,although this plant also occurs in higher quality habitats. The plant grows well in most soils including silts, peats, loams and sands, and whilst tolerating a wide range of pH frequently grows better in more acid situations.The plant has taproot that may grow to over 1 m deep, though it is usually much shorter. The main stem is often procumbent at the base, and may root from the lower nodes. It commonly branches at the lower nodes to produce several erect or ascending stems, 15-80 cm tall. Stems are smooth and hairless to very finely hairy, swollen at the nodes, green to red or light brown, and are surrounded above each node by cylindrical membranous ochreas which are 0.5-1 cm long with bristly tips. The stems normally branch towards their tips. The single leaves have short stalks which taper into slender finely hairy glandular blades 4-10 cm long. Emerging leaves are rolled downwards at the edges. 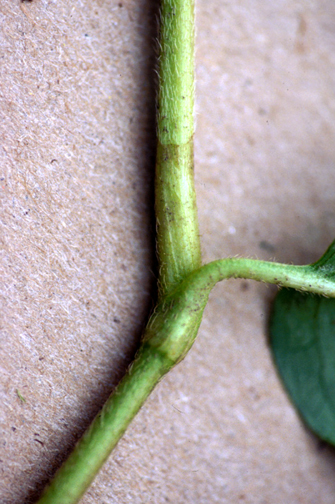 Modified stipules known as ochreae sheath the stem above the junction of stem and petiole. In P. hydropiper these are about 5 mm long with a fringe of hairs about the same length. Inflorescence occur at the tips of all branches and in the upper leaf axils. Each is a slender (often nodding) spike of well-spaced green to pink flowers, 2-4 mm long, the outer parts of which are covered with dark glands. Flowering normally takes place from June through to the end of September. Fertilized flowers develop into hard, usually triangular(also flattened), 2-3.5 mm long, dark dull brown to black nuts which remain surrounded in the dried flowers. Sir Thomas Browne in The Garden of Cyrus (1658) asked: “Why Fenny waters afford the hottest and sweetest plants, as Calamus, Cyperus, and Crowfoot, and mud cast out of ditches most naturally produceth Arsmart?” In Japan leaves of a cultivar are used as a vegetable. Seeds of the water-pepper are also used in the popular Japanese wasabi sauce and sushi, tempura and sashimi dishes. Several researches have revealed that Arsesmart belongs to the category of herbs known as emenagogue. Emmenagogue herbs are renowned by their ability to encourage blood flow in the uterus and around the pelvic regions of women. 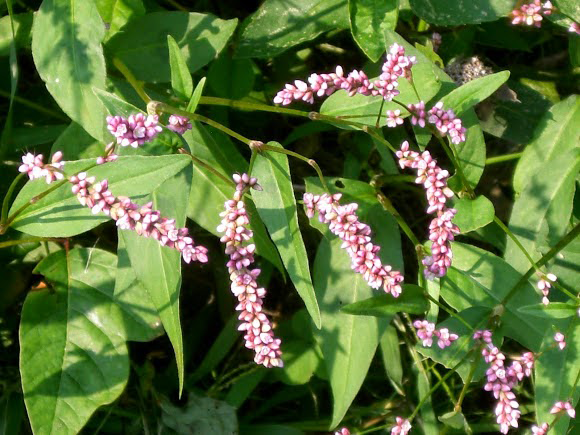 Due to this unique character of these herbs, some women douse them for regulating menstrual irregularities, preventing ovulation,preventing pregnancy and for inducing abortion. Other emenagogue herbs include;parsley, mugwort and chamomile. Arsesmart is quite beneficial to human health because it protects the body against oxidation from free radicals and toxins. Oxidation causes aging and being that it cannot be stopped, there is need to use antioxidants such as Arsesmart as a defense against it. The experiments on the effectiveness of Arsesmart as an antioxidant gave optimistic findings therefore its great importance in supporting the healthy functioning of the body. Arsesmart is carminative in nature therefore can be taken to prevent the formation of gas in the intestines. Arsesmart helps to expel unwanted gas from the intestines as well as prevents flatulence. Arsesmart seeds and leaves are used in traditional medicine for fighting against cancer. This is because Arsesmart is an anticancer herb, thus so effective against cancer. Arsesmart has the ability to stop excessive passage of urine otherwise known as diuresis. The Arsesmart plant can be used alone or combined with other herbs, for treating gastrointestinal distress such as bloating and diarrhea. The Arsesmart herb can be squeezed and applied on an inflamed body part in order to relieve soreness and inflammation. Herbal medicines prepared from Arsesmart can also be used for treating piles. Hot decoction of Arsesmart plant serves as a remedy for cholera. Cholera is a bacterial infection caused by drinking adulterated water or contaminated food. Soft cloth can be soaked in aqueous hot decoction of Arsesmart,which is wrapped around the patient immediately the symptoms are noticed. Arsesmart can be used for preparing herbal medicines that clear the respiratory tracts and lessen nasal discharge. Herbal concoctions of Arsesmart herbs can also be used for treating asthma, cough, sore throats and upper respiratory infections. Arsesmart leaves consist of rutin which supports as well as strengthens the fragile capillaries of the blood stream thus preventing excessive bleeding as well as preventing unwanted bleeding. Arsesmart plant can be decocted and used for treating hemorrhoids and excessive menstrual bleeding. It also helps to stop menstrual pains. Chinese researchers categorized the Arsesmart among anti-fertility drugs thus can act as an oral contraceptive for preventing conception and fertilization. Researchers reveal that Arsesmart can be combined with gum myrrh and tonics for treating epilepsy. Arsesmart extract can be used for treating gastric ulcer due to its high quercetin content. Quercetin is a flavonoid that has antioxidant behavior. Arsesmart can be infused in cold water and the fluid extract can be taken by patients suffering from dysentery. Some researchers claim that few drops of aqueous Arsesmart extracts into the ear can destroy worms that cause earache. Root of Arsesmart plant can be chewed for treating toothache and lessening discomfort on an inflamed gum and aching tooth. Squeezed extracts of fresh Arsesmart is very helpful in combating jaundice. Arsesmart can be used for producing herbal medicines that fight bacterial infections such as E. coli, Enterococus faecalis and Staphylococcus aureus because the herb is toxic on these bacterias. Arsesmart can be used as a protection against fungal infections such as Candida yeast by suppressing these fungi from growing. It is not used very often, and is seen more as a domestic remedy being valued particularly for its astringent properties which makes it beneficial in treating bleeding, skin problems, diarrhea etc. 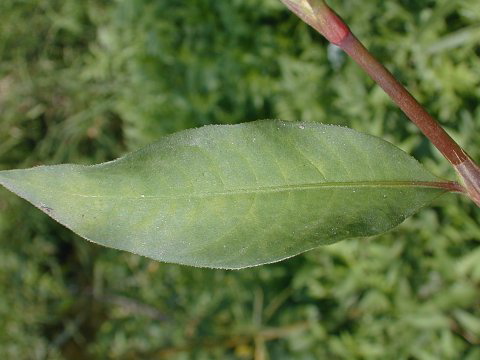 Leaves are anti-inflammatory, astringent, carminative, diaphoretic, diuretic, emenagogue, stimulant, stomachic, styptic. They contain rutin, which helps strengthen fragile capillaries and thus helps prevent bleeding. Seed is carminative, diuretic and stimulant. Whole plant, either on its own or mixed with other herbs, is decocted and used in the treatment of a wide range of ailments including diarrhea, dyspepsia, itching skin, excessive menstrual bleeding and hemorrhoids. Poultice of the plant is used in treating swollen and inflamed areas. It is used in the treatment of piles, menstrual pains and other menstrual complaints. Cold water infusion is useful in gravel, colds and coughs. Infusion in cold water, which may be readily prepared from the fluid extract, has been found functional in gravel,dysentery, gout, sore mouths, colds and coughs, and mixed with wheat bran, in bowel complaints. Fresh leaves, bruised with those of the Mayweed,and moistened with a few drops of oil of turpentine, make a speedy vesicant. Simmered in water and vinegar, it has proved beneficial in gangrenous or mortified conditions. Extract, in the form of infusion or fomentation,has been beneficially applied in chronic ulcers and haemorrhoidal tumors, also as a wash in chronic erysipetalous inflammations, and as a fomentation inflatulent colic. Hot decoction made from the whole plant has been used in America as a remedy for cholera. Infusion is used not only as a diuretic, but also put into the bath of sufferers from rheumatism in Mexico. Fomentation of the leaves is beneficial for chronic ulcers and hemorrhoids – in tympanitis and flatulent colic, and as awash in chronic inflammatory erysipelas. Root was chewed for toothache – probably as a counter-irritant – and the bruised leaves used as a poultice to whitlows. Water distilled from the plant, taken in the quantity of a pint or more in a day, has been found functional in gravel and stone. Expressed juice of the freshly gathered plant has been found very beneficial in jaundice and the beginning of dropsies, the dose being from 1 to 3 tablespoonfuls. It effectively cures putrified ulcers, killsworms, and cleanses putrified places. Juice is good for cold swellings, and it softens and eliminates congealed blood of bruises, by strokes, falls, and etcetera. Piece of the root or some of the seeds bruised,and held to an aching tooth, takes away the pain. Leaves bruised cure the felon. Mild Arsesmart is good against all imposthumes and inflammations at the beginning, and to heal green wounds. Herb was used fresh in folk medicine for stomatitis (inflamed and sore mouth), gout and as a toothache remedy where the herb was either placed directly on the affected tooth or teeth or it was used in the form of a strong decoction which was then used to rinse the mouth. Dried and powdered herb was also used to treat minor wounds and cuts and it was used fresh as a remedy for scurvy due to the herb’s high content of vitamin C.
It is mainly used as a topical astringent agent and a remedy against diarrhea. It can also be used internally as a tea against heavy menstrual bleeding, bleeding after childbirth, vaginal bleeding between periods and minor bleeding in the digestive tract caused by hemorrhoids. When the herb is added to bath water it is thought to have both stimulating and sedative effect. They can also be made into an acid peppery condiment. Seed are consumed raw or cooked. Seed is used as a condiment as a pepper substitute. Sprouted seeds or young seedlings can be used as a garnish or added to salads, they are commonly sold in Japanese markets. Leaves are used as vegetable in Japan. Fresh leaves, sprouted seeds, and seedlings are often used as a flavoring in soups and salads and as a garnish for dishes like sushi in Japan. Seeds of the water-pepper may be added to wasabi. Yellow-gold dye is obtained from the stalks. Seeds have survived from 4 to 36 months underwater, 6 months in sand and loam and up to 50 years in field soil. Macerated plants are used as a fish poison in India. Although no specific mention has been made for this species, there have been reports that some members of this genus can cause photo-sensitivity in vulnerable people. 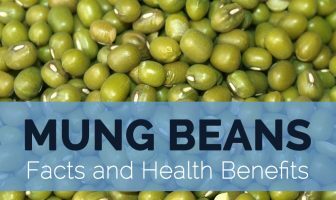 People with a tendency to rheumatism, arthritis, gout, kidney stones or hyper acidity should take especial caution if including this plant in their diet since it can worsen their condition. Oil of the wild water pepper may cause skin irritation. Cold water infusion of the herb is used to cure gravel,cold and cough. Ingestion of a large amount of the herb has been known to cause irritation of the digestive system. Fresh plant sap can also cause skin irritation in some people.